When you Buy Now, you will be connected to a download link that requires PayPal or a Credit Card. After the sale transaction is completed, you will receive a link to a PDF file to Download. Note Android Users: When you download the file DO NOT try to open it. Instead, email the file to yourself first, then open it from the email message and save it to your Google Drive. Android perceives the PDF file as Malware and will prevent you from opening it if an attempt is made to open the file directly. This approach, opening a file from a known sender (yourself) results in the file being able to be opened. Some suggestions are quick and easy. Some are lengthy and expensive. 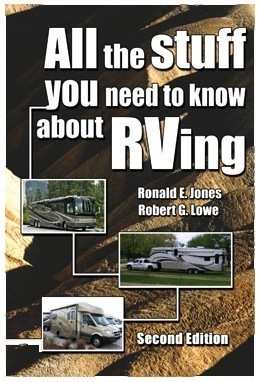 Some are applicable to virtually every camper on wheels. Some are very specific.